Hi. Hope I describe this correctly. If I have a folder with a group of galleries in it - and I want that specific folder and its entire contents (all its galleries and sub galleries) to have a colour/background theme etc consistent throughout - I select the folder in question then go to the customise tab and select "content and design" ? It then gives me a choice of "homepage', "folder", "just this folder", or "all galleries". I selected "just this folder" and changed the theme etc assuming it would carry it across the everything in that folder. But it didnt. 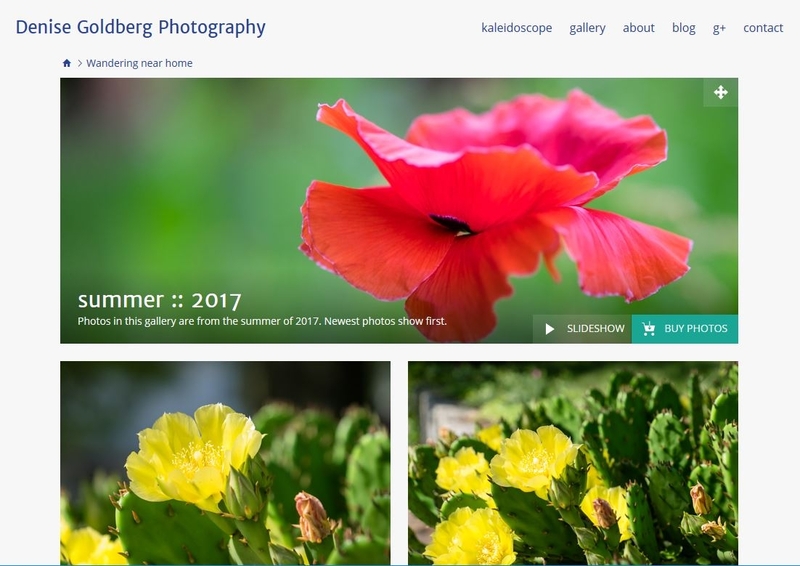 All the galleries still have the theme of the "entire site". (I tried selecting "all galleries" but as I suspected it did all the galleries of my entire site - not just all the galleries in that folder). What am I doing wrong when I want to change the theme of an entire folder and all its contents ? Still really lost with this and would appreciate any tips. I have been selecting folders, and folders within folders etc and choosing a "folder theme" but it is not carrying across to all the galleries in the selected folder. Surely I am not having to do this individually for each and every gallery and sub gallery etc when I have selected a theme for an entire folder ? Let me explain how customizations on SmugMug work. To allow you to easily make changes to different parts of your site, we've split up the customizer into different sections. You may customize your "entire site", homepage, "all folders" and "all galleries". Changes to the entire site section would apply to your whole site allow you to easily add a logo and menu on your whole site. The all folders and all galleries sections allow you to change the look of folders and galleries that haven't been made custom. 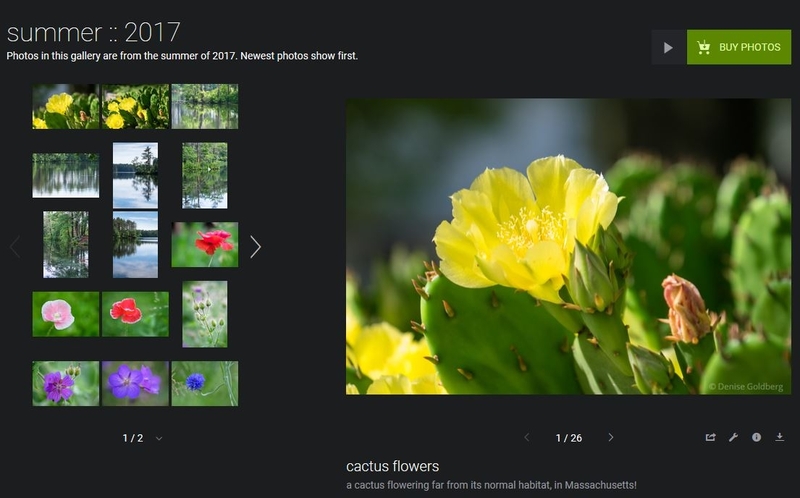 Custom folders and galleries are ones that you specifically customize by going to the folder / gallery in question and clicking on customize > content and design and then the "make this folder/gallery custom" option. Any changes you make to a custom folder / gallery would only apply to that specific folder / gallery. It would not apply to any folders or galleries within a custom folder. However, if you're only looking to apply a theme to a folder or gallery, you don't have to use the content and design > make this folder/ gallery custom option. You may also apply a theme directly using the customize > folder / gallery theme option. Again, this would just apply to the specific folder / gallery and not any folders/galleries within a folder, but it's easier to do. If you haven't seen it yet, you can also check out this help page for a few more basics on how the customizer works. You can find more information on themes here. Hi Rainforest - sorry for the delay in replying - I have been away. So just to clarify - there appears to be no way for me to select a folder and apply a theme to every gallery/sub gallery in that specific folder ? That is painful - I have hundreds of folders/galleries/sub galleries in each "main" folder. So I literally have to sit here and click individually on every single solitary folder and give it the folder theme, then every single gallery and sub gallery ? It took 6 weeks just to check the migration was successful - at this rate it will take me a year before I can even make my site visible to my family and friends. So as I attempt this - I have created a theme for a specific folder and saved it. But when I then click on a gallery and then click on customise - I am only getting two options "gallery settings" and "gallery style" - I dont get the 4 options I get when I click customise from a folder. Neither of those two settings seems to open the side bar to customise the gallery itself. This is truly starting to wear me down. Also noticing that in the galleries where I only get those two options - there are also no breadcrumbs visible - no way to return to a folder or home. I haven't selected anything to create that. Just curious - in the galleries where there are no breadcrumbs visible, is the gallery setting "hide owner" (in the security & sharing section) turned on? That setting removes the breadcrumb and all customization options. Hmmmm let me check that Denise. BINGO!! Thank you for narrowing that down - have changed that setting and will continue to customise those ones !! Just reading that "hide owner" link - do you think that would be a solution where I need to convert my phanfare subsites that link from websites - that are totally separate to "me". So people wouldnt be able to click anywhere back to my own site ? That's correct, people wouldn't be able to click back to your site. But - if you need anything customized on those galleries then hide owner wouldn't be a good answer since hide owner removes all of your customization. The other missing piece with hide owner is that since you don't have the breadcrumb your viewer also doesn't have an easy way to click to other galleries in the same folder. Hmmmm ok yes that makes sense - thanks for the pictorial example. I can see the positives of hiding the owner - but as you say - cant customise (which I was hoping to do to match the websites they would be iframed into) but also as you then point out - they would lack a breadcrumb to find their way around the various galleries in that actual folder.